Andrew Dale rounded out a busy weekend of racing with Parliament winning on debut for the stable. 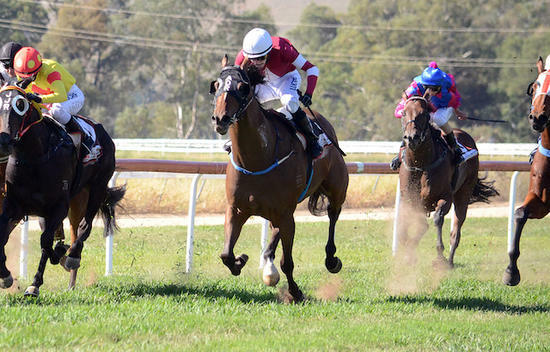 With runners over three consecutive days at Benalla, Mansfield and Gundagai the stable broke through on Sunday with the team’s newest addition Parliament. Parliament was successful in the Maiden Handicap (1400m). It was an emphatic debut win considering the awkward position Parliament was in rounding the home turn. Billy Owen was able to find clear running inside the straight, allowing the gelding to showcase his damaging turn of foot. “There were some concerns with the wide barrier and the firm track but it programmed nicely into Albury on the 18th so we thought we’d roll the dice and it ended up being a great decision,” a relieved Andrew Dale said post-race. Parliament has recently joined the Andrew Dale Racing stable from New Zealand with shares still remaining.